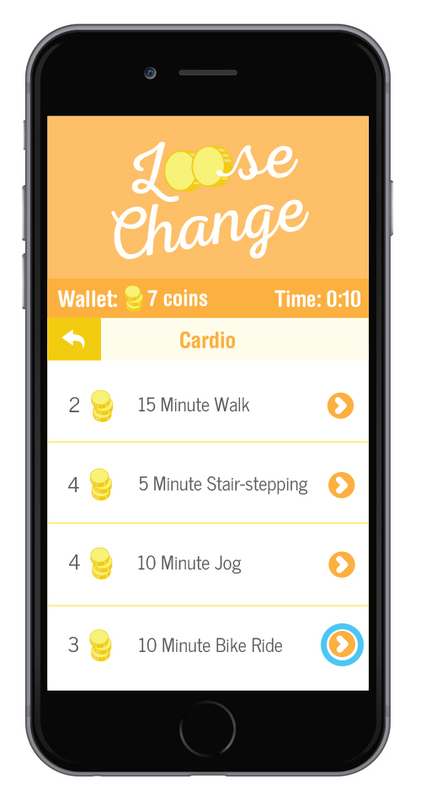 Loose change is a fitness application that encourages users to exercise through gamification. 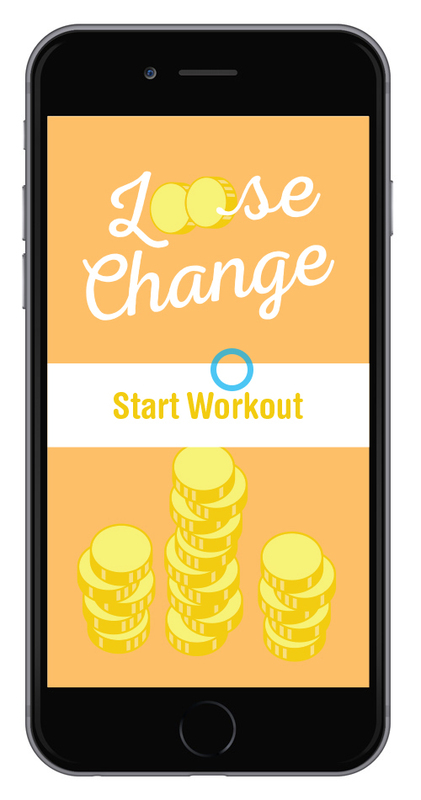 At the beginning of each workout, users choose a budget and are given an allowance to spend on varying exercises. The cost of each exercise is related to how vigorous the exercise is. 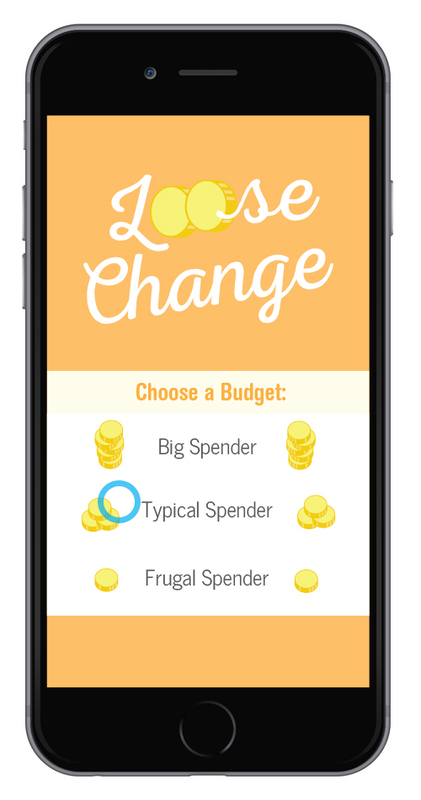 The goal for a user is to complete their entire workout by spending their allotted budget.